Microsoft is now pushing out Windows 10 insider Mobile build 10.0.14385. There is a minor improvement from the previous build. Insider build is now available for Fast ring insiders. 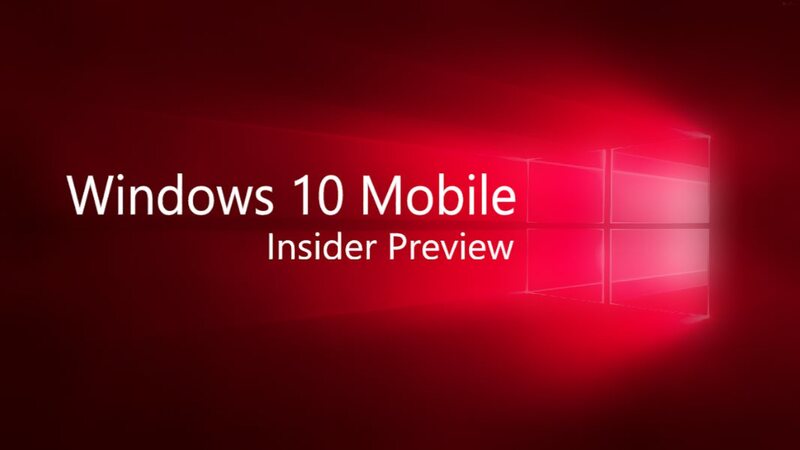 Dona Sarkar posted on the official blog about the availability of latest insider build for mobile. A few days ago Microsoft released Windows 10 insider build 14383 for the fast ring insiders. You can open PDFs in Microsoft Edge and use touch to interact with the PDF (such as scrolling, pan or zoom) again without it constantly reloading the PDF in Windows 10 insider Mobile build 10.0.14385. Windows 10 insider Mobile build 10.0.14385 have improved battery life for older devices, such as the Lumia 830, 930, and 1520. Mobile build 10.0.14385 also fixed an issue where setting the SIM name on a dual SIM phone would sometimes fail. Voice Recorder does not show up consistently as an option for Call Recording in Windows 10 insider Mobile build 10.0.14385. Insider team is working on it. The keyboard doesn’t show up consistently for InPrivate mode on Microsoft Edge. A workaround is to click on the Microsoft privacy statement hyperlink on that page and then the keyboard works in the search/address bar. Windows Insider team is working on fixing this. REMINDER: Insider team have changed the backup format for Windows 10 Mobile devices to reduce the size of the backup stored in OneDrive. As a result, if you do a backup on a device running the latest Windows 10 Mobile Insider Preview builds and move back to the released version of Windows 10 Mobile (Build 10586) and restore from your backup. Your Start screen layout won’t restore and remain the default Start layout. Your previous backup also gets overwritten. If you need to go back to Build 10586 temporarily, once you are on Build 10586 you should disable backup so it doesn’t overwrite the good backup from Windows 10 Mobile Insider Preview builds.